With the dangers of asbestos now a matter of public record, it is not surprising that the Australian government is taking clear steps in ensuring that the problem will not be a major issue within the country. Advising Australians on how to best handle asbestos risks as well as keeping track on any asbestos readings within the country, asbestos removal has become a much needed and very precise procedure that requires both care and experience to accomplish. Asbestos is a common ingredient in construction in many countries – including Australia. Prior to the widespread knowledge of asbestos health risk, the chemical is a staple in cement whether the material is made in Australia or imported from other countries. Just recently, asbestos was identified in imported products after having been guaranteed ‘asbestos-free’ by the countries that they originated from. The issue with asbestos, however, rests more on past use of the product when it comes to transaction. Cheap and easily accessible, it is estimated that more than 70,000 homes in New South Wales are made with cement containing asbestos. That is roughly 52% of the total homes in New South Wales, many of which were built right after World War II. The trend continued with studies showing that before the year 1976, roughly 98% of the homes in Victoria alone contained asbestos. The ingredient was not just popular in cement but also in roofs and essentially all kinds of construction material. Although asbestos as an ingredient started to dwindle in the following years, Australian law banning asbestos only became effective in the year 2003. For this reason, there is a clear ‘gap’ in the data regarding how many Australian homes are hiding a secret and what can be done to finally make the country asbestos-free. The general rule, however, is simple: if your home was built sometime before 2003, it would be a good idea to have your house checked for the presence of asbestos. If it was built at any time the year 1976, the chances of asbestos dramatically rises. The older your home is, the higher is the chance that you are living somewhere with asbestos. Today, Australia holds a tight rein on their ‘no asbestos’ policy by inspecting importations that could contain asbestos. Handled by the Asbestos Industry Association, they take samples from imports in order to determine whether they contain asbestos or not. Several imports have been flagged and in the watch list. Due to this, the Australian government encourages every owner of a structure – whether private or commercial – to have their homes checked for asbestos, regardless of when it was built. Most common form of asbestos today, more than 90% of homes and commercial buildings used this type for construction purposes. The fibres of chyrsotile are long, curly, and white which makes them easy to inhale. They are often used in gaskets, brake pads, insulation, joint compound, brake linings, cement, as well as roofing materials. Described as having blue and straight fibres, this type is equally cancerous and may be found in numerous materials. It was an ingredient for insulation boards, ceiling tiles, spray-on insulation, fire protection, water encasement, and more. Coming with brown and straight fibres, this type of asbestos is commonly used for insulation. It also contains iron and magnesium. They are often found in cement sheets, roof tiles, floor tiles, fire protection, gaskets, chemical insulation, as well as electrical insulation. Translucent and may have varying fibre colors of brown, white, gray, or even green, this particular type is not really popular in the market. Although not repeatedly used, tremolite could contaminate other minerals or even be part of chrysotile. Products often contaminated with this asbestos are paint, sealants, roofing materials, and plumbing materials. Possibly one of the most dangerous asbestos type, actinolite contaminates different materials but not often used on its own. The products that can contain actinolite by accident include children’s toys, sealants, and pain. This is also not that common as a basic ingredient for construction. However, it has been known to contaminate certain materials such as vermiculite and talc, thereby making it equally dangerous. Fibre colors may be anything from brown to white. Asbestos may also be classified into two categories: friable and non-friable. Friable asbestos are those that may be crumbled or pulverized, therefore releasing jets of asbestos fibres on a routine and continuous basis. On the other hand, non-friable asbestos are those bound together such as cement or vinyl. They release fibres only after being broken and will not do so again. Of the two, friable asbestos is more dangerous because it promotes constant exposure to the harmful chemical. However, the Australian government bans both types as they are equally dangerous. • Mesothelioma – this is a rare type of cancer that compromises the lining of the organ. Although the lining is present in all organs, the condition often occurs in the lungs or the chest cavity, causing tumour growth. With no known cure, a mesothelioma diagnosis usually has a survival rate of just 5% within the next 5 years. • Lung Cancer – unlike mesothelioma, lung cancer occurs in the lungs alone. Treatment includes chemotherapy although the survival rate is far from promising. • Asbestosis – an inflammatory condition that compromises the ability of the lungs to function. Those who have the condition experience lung scarring that makes it difficult to breathe. • Asbestos exposure has also been linked with other cancerous tumours involving other organs although this is not strongly confirmed. It usually takes a long time for symptoms to occur from the time first exposure occurred. According to studies, it took 30 to 45 years for the first symptoms of mesothelioma to become evident after exposure. It can be said therefore that asbestos-caused health problems are not instantaneous but build up over time. Unfortunately, it is usually too late by the time diagnosis is made. This is why the Australian government aims to make sure that NO asbestos exposure occurs in the first place. The highest number of mesothelioma diagnosis in Australia is in New South Wales. In total, there have been 551 deaths attributed to mesothelioma in the year 2007 alone. Statistics makes a grim prediction that those numbers will rise over the course of several years. In New South Wales alone, diagnosis of mesothelioma doubled in number between the years 1987 to 2006. Being the first state in Australia to mine asbestos, those who worked in the mine and plant pose a higher risk of suffering from the condition. Women too are increasing in number when it comes to a cancer diagnosis resulting from asbestos. Studies show that women who are affected got the condition through second hand exposure. With no safe level when it comes to handling asbestos, New South Wales places their focus on ensuring that the material is properly handled and removed from homes. In line with this goal is the need to disperse information on asbestos, the dangers attached to it, how to determine its presence, and how to remove it completely from your home. The New South Wales government has taken asbestos very seriously and initiated steps in order to make sure that residents are protected from its harmful effects. Starting with the availability of information regarding asbestos, the State issued rules and regulations that will streamline the detection and removal process of asbestos in the area. New South Wales provides a roster of licensed asbestos removers in their website to better guide homeowners in choosing experts. Aside from removers, the list also includes asbestos assessors as well as demolition contractors. With this at your fingertips, you are assured that the removers have been approved by the government and comply with the rules and regulations for the sake of safety. The government of New South Wales considers everything – including the inadvertent spread of asbestos due to natural disasters. Flood, earthquake, and the like can destroy homes and buildings potentially hiding asbestos. In the wake of chaos, parts of a home may break, thus releasing fatal fibres into the air and inhaled by people nearby. In such cases, it is important to follow State rules and regulations when responding to natural disasters and subsequently call for professional help on removal. • A report on the status on the home and advising the clients on what would be the best course of action. Homes that are practically built with asbestos are usually beyond help with homeowners advised to find new accommodations to safeguard their health. • Removal of the asbestos is undertaken if such is possible with the staff using government-grade gear to ensure that they won’t inhale any of the fibres. Further streamlining asbestos removal to ensure quality, the government of Australia through the Work Health Safety Regulations have set up competency projects to ensure that kind and quality of asbestos removers. Under the regulations, two types of removers were made: Class A and Class B. Class A license holders are those who may remove all kinds of asbestos including the non-friable and the friable. Those under Class B, however, are limited only to non-friable asbestos. Following this, asbestos assessors are also given a special license and tasked with the power to monitor work, conduct inspections, and make sure that the building is indeed asbestos-free. Asbestos is not something to be taken lightly. If you even suspect that your home or office is constructed with asbestos, it is crucial to have the building checked by a licensed professional as soon as possible. Even though you have already been exposed, cutting the exposure short will minimize the chances of developing any asbestos-related health problems. Considering the sheer number of products entering Australia, it would be difficult for the government to check each and every one of them. Hence, it is up to you to protect yourself and your loved ones against asbestos by calling on the help of inspectors, removers, and assessors. 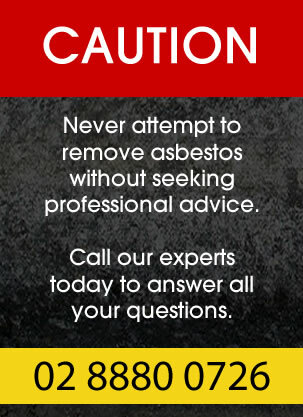 It is also advisable to check with your doctor as soon as you suspect the presence of asbestos. Catching problems early and putting a stop to it can help prevent the worsening of lung issues. For more information, check out Australia’s extensive discussion on the subject.